A road is literally defined as a wide way leading from one place to another. We also think of roads as access to new opportunities of commerce or development. A road can also describe a series of events or a course of action that will lead to a particular outcome. In the book, The Road Less Traveled, M. Scott Peck uses “road” figuratively to describe the sometimes hard and often painful process of change. Peck uses the “road less traveled” as a illustration of the journey this requires. In Jeremiah 31, the prophet speaks to the people of God in Babylon to prepare them for a “road”—both literally and figuratively—that would return them to their own land after their 70-year exile. Jeremiah’s message is clear. They are not to be afraid or lose heart. They are to be focused with a firm resolution to rebuild the nation of Israel. In today’s text specifically, Israel is called to reframe from falling back into their old rebellious habits as God creates a new road to their salvation—a “new thing” that had never been done before (or since). Israel is warned against potential backsliding which is interpreted as “faithless”. In the past both Israel and Judah had consistently failed to “holdfast” to God and depend solely on Him for their every need. (Job 27:6) The results was always disastrous as proven by the conquest of both nations. Israel is encouraged to trust God, Who would create a “new thing”—interpreted as strange and surprising—in the earth. God would create a woman who would “compass” or protect man. Many interpreters understand this “new thing” to be the incarnation of Jesus Christ. A woman, the Virgin Mary, enclosed in her womb the Might One. This was to be their incentive. They would know that with their return from exile came the promise of not only their physical restoration but the spiritual blessing of the Mighty God (Is. 9:6). God would not cast off His people but bless them. This was to be their assurance. And what is the road for us today? How do we live in the knowledge of this “new thing”? 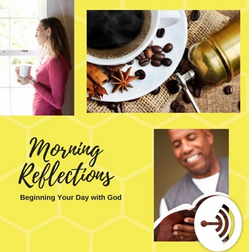 Knowing the blessings of being in Christ (Ep. 1:3-14). 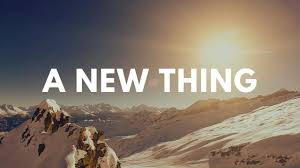 Our journey to understanding “new things” has hopefully provided incentive and inspiration to walk in the divine purpose God has created for our lives. When we as believers trust God and understand God’s reason for “new things”, we can move forward joyfully in faith and confidence. Previous PostThe Reason for New ThingsNext PostWhat is Your Eternal Net Worth? As an older adult I have been fearful of learning or accepting new things. This lesson has taught me to be more receptive of the new things that God may want to do in my life just as He did with the Israelites.